Pointed dip pen (Copperplate) calligraphy is a Western Calligraphy style that is popular in the 18th-19th century. Today, we have adopted this style for many uses like envelope addressing, invitation design and more. 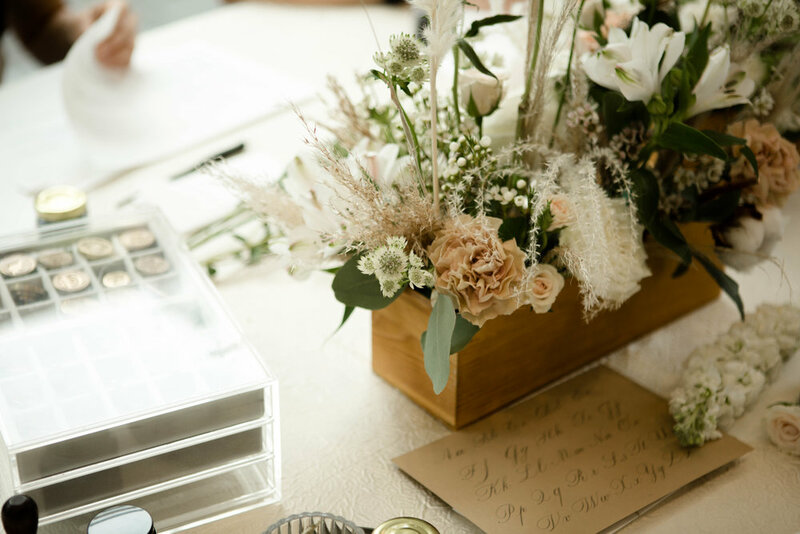 We have specially collaborated with a Singapore-based florist, Benita from Florals by Benita (@floralsbybenita) and you will get to adorn her floral creations across our beautiful table at the exclusive My Turn To Host Studio. You will also get to appreciate how calligraphy writing and florals can help add a personal touch to your lunch/dinner table set up. This workshop is catered to complete beginners. We will walk you through with various writing warmups and ample writing demonstrations before we begin exploring the art of pointed pen calligraphy together through practice. For refreshers with some experience, you will receive a comprehensive set of practice sheets as you will be focusing on words, forming sentences and writing more confidently. Our workshop fee includes light refreshments, nespresso coffee, tea, homemade lunch and a curated pointed pen calligraphy kit for both beginners and refresher participants. Nichole @NicNKotori iNichole Tin (@nicnkotori) is a Western Calligraphy artist based in Singapore. Having lived in Western Australia for 8 years, she has come to appreciate their culture, art and way of life. Her exploration in western art led her to discover about an Old English western calligraphy style (English Roundhand) and that remains her main area of practice to date. Her modern-day works have a contemporary twist to it although we may occasionally see hints of 18th century art influence as an ode to her deep appreciation for creations during that era. Upon her relocation to Singapore, she founded a Calligraphy & Hand-Lettering artist collective (Scribblers Collective) with 2 other friends and to-date, they have 9 core team members and several other artists on board. All artists on the team are located across Singapore, Australia and Manila. In just 4 years into her artist career, she has regularly created calligraphy artwork for many luxury fashion and lifestyle brands. Her growing portfolio of clients that she has worked/collaborated with includes Apple, Jimmy Choo, Hermès, Christian Dior, The Hour Glass, Tiffany & Co, National Library Board, President’s Challenge and more. 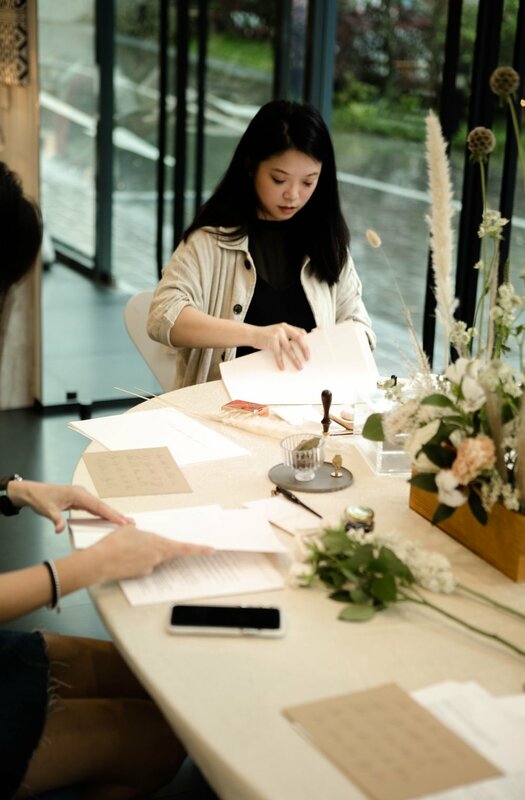 Even having successfully conducted multiple calligraphy workshops in Singapore and abroad, she wishes to continue her reach to more individuals and groups. By combining all the elements that she enjoy in her personal day-to-day life in her calligraphy workshops and courses, she hopes to share the beautiful side of this art with people she cross paths with.